Crafter's Companion 72 MARKER STORAGE TRAYS Spectrum Noir SPECN-UPT6 at Simon Says STAMP! SPECN-UPT6 /31.8 This item is on reserve until If you would like to reserve this item now, you may purchase it now with the rest of your order. We will hold your order now and ship your entire order as soon as this item is back into stock. If you would like your order to ship now, please place this item on a separate order. 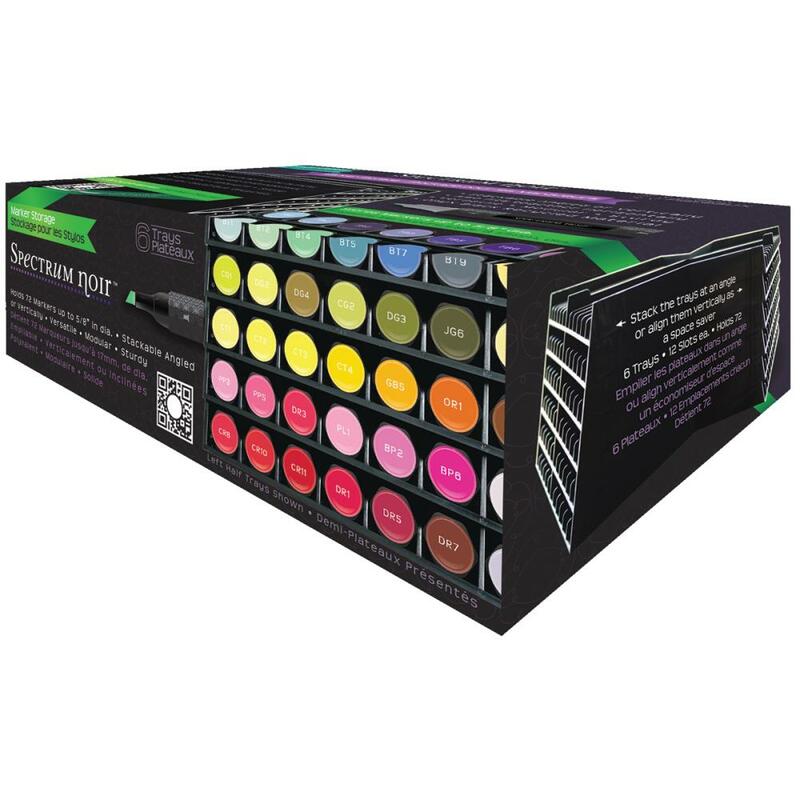 Success, Crafter's Companion 72 MARKER STORAGE TRAYS Spectrum Noir SPECN-UPT6 has been shared! The Spectrum Noir Marker Storage Trays are made of 100% recycled, black plastic. This modular system can be customized to your personal space! There are three different ways to build: horizontally, vertically or angled. This storage tray will accommodate most markers and pens, including specialist markers. 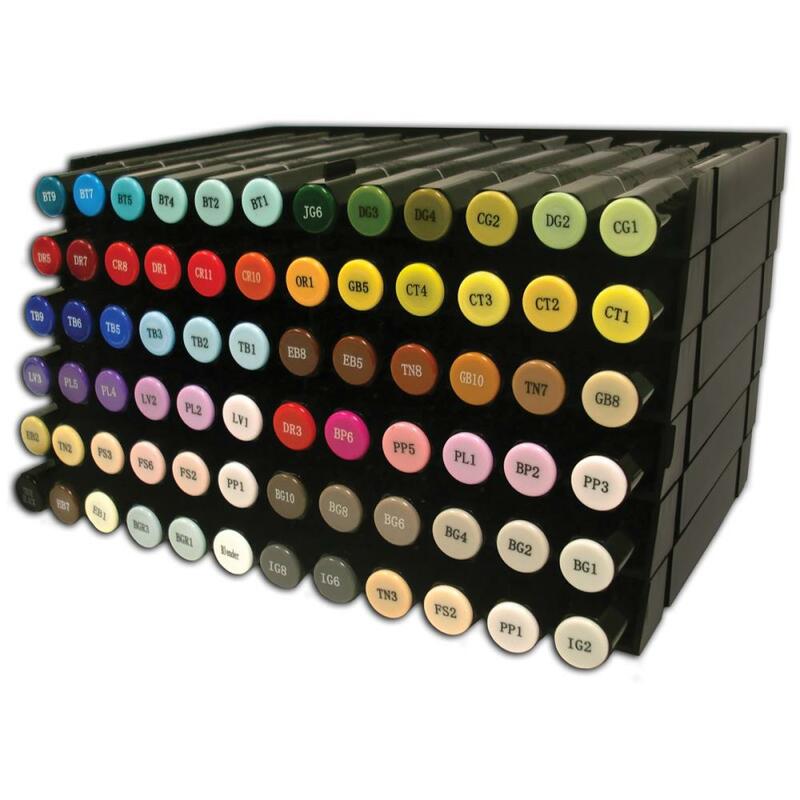 This package contains one Noir marker storage with six trays (holds seventy-two markers up to 5/8 inches in diameter). Each rack measures: 5.3 x 9.5 inches. Imported.